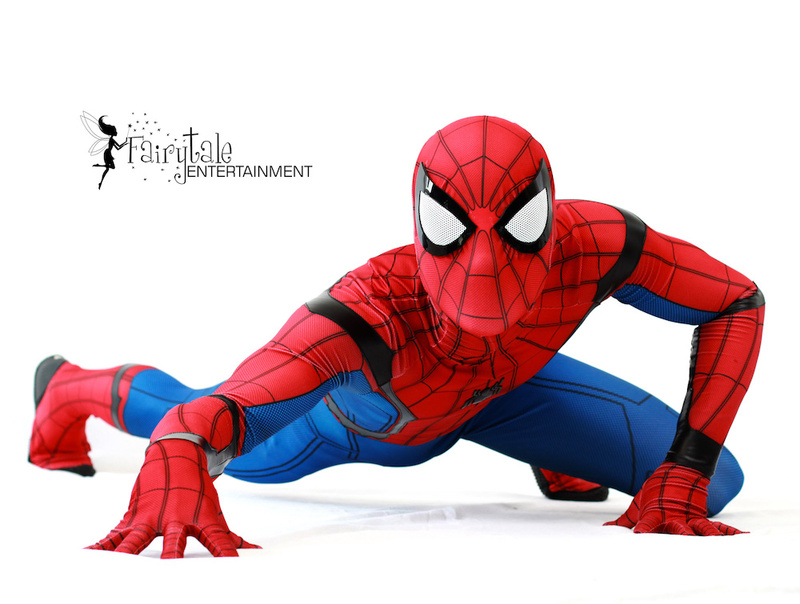 All kids grow up loving their favorite superhero party characters like Superman, Spiderman, Batman, Captain America and many more. 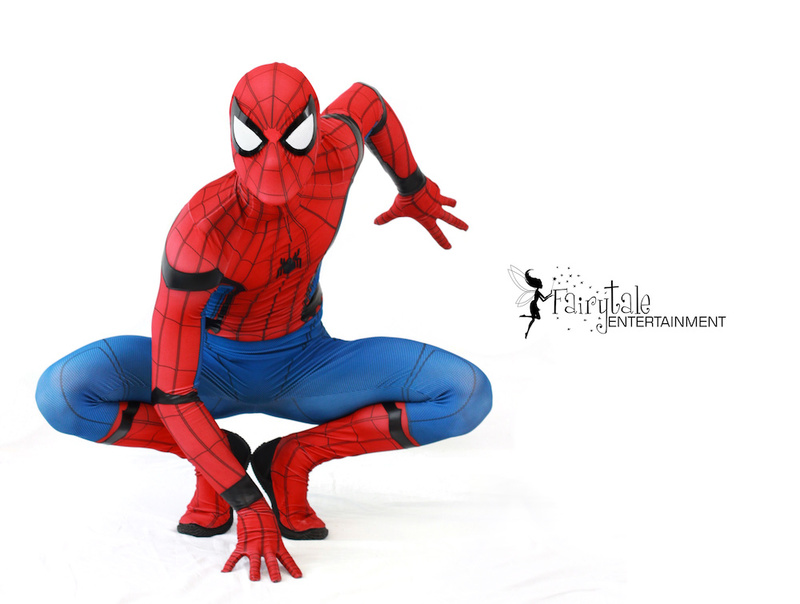 If you are looking to throw your own high quality, affordable Spiderman themed party that people will remember, then you have come to the right place. 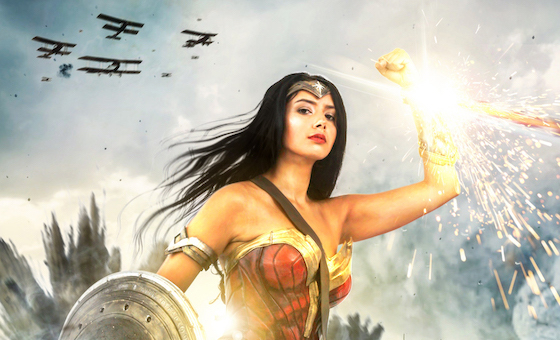 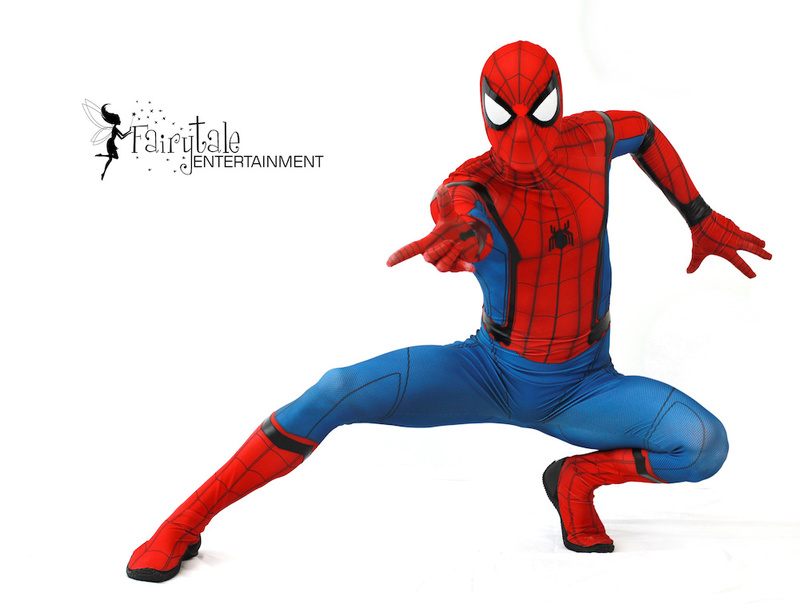 Fairytale Entertainment offers the best superheroes for hire and they provide the best childrens party entertainment for kids parties and special events. 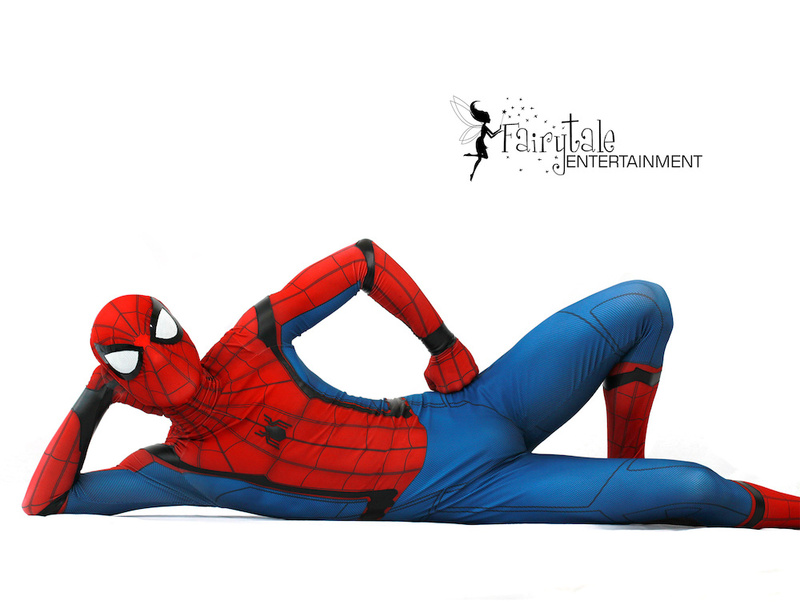 Our spider themed superhero character is full of energy, just as you would expect from a superhero performer. 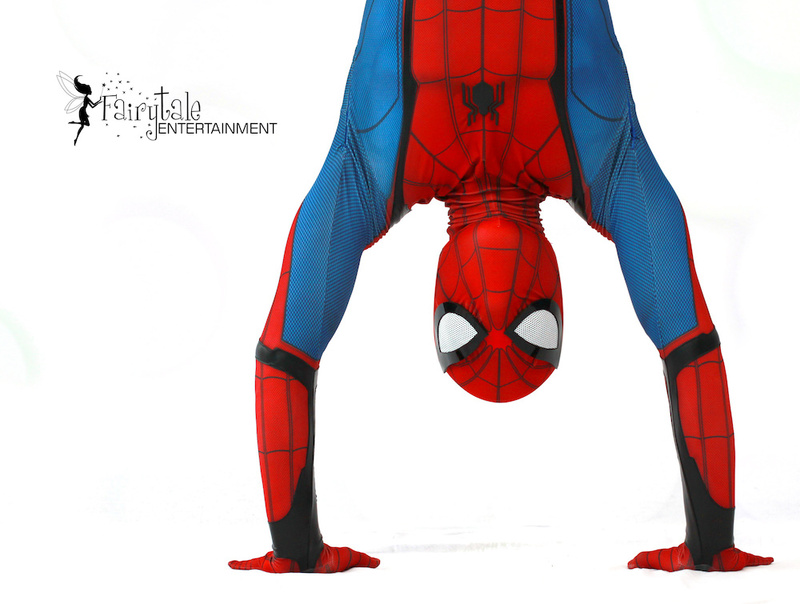 Watch as our talented superhero entertainers captivate your entire party of kids with their flashy acrobatic superhero moves, and see them get all the kids involved in the fun with their superhero training! 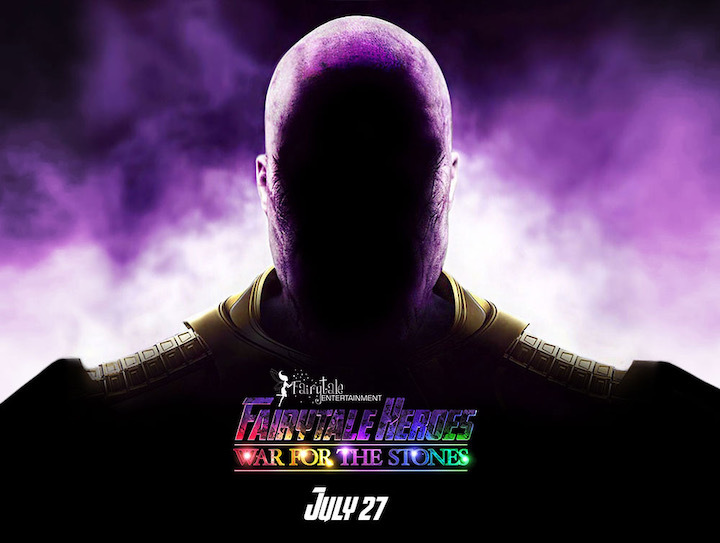 This is one party you and your children will never forget. 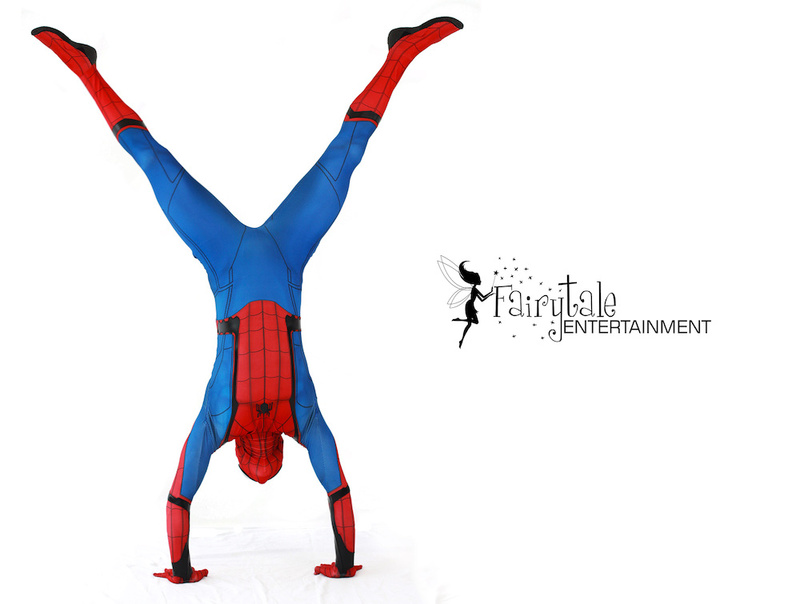 Fairytale Entertainment, serving all Southeastern Michigan and Chicago, Illinois, only brings the most talented and fun loving spider hero entertainers to your party. 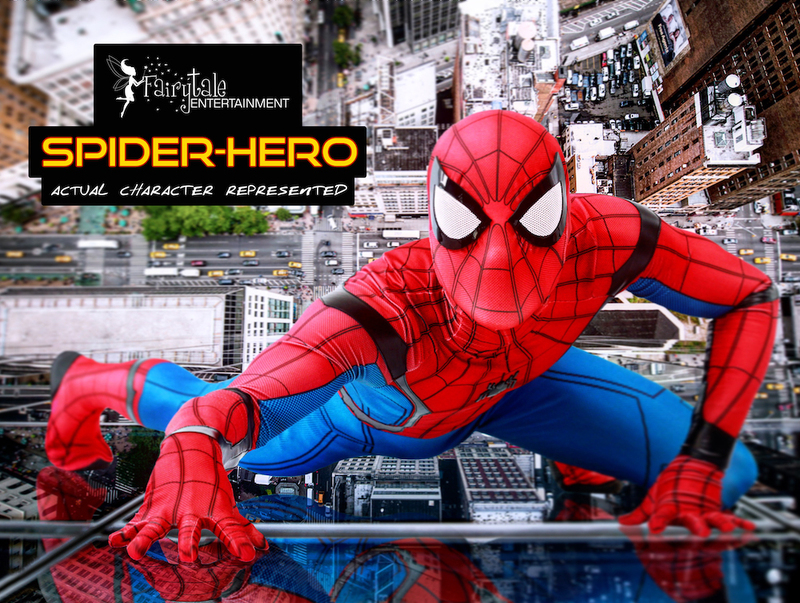 Our incredible cast of superhero performers are simply the best around. 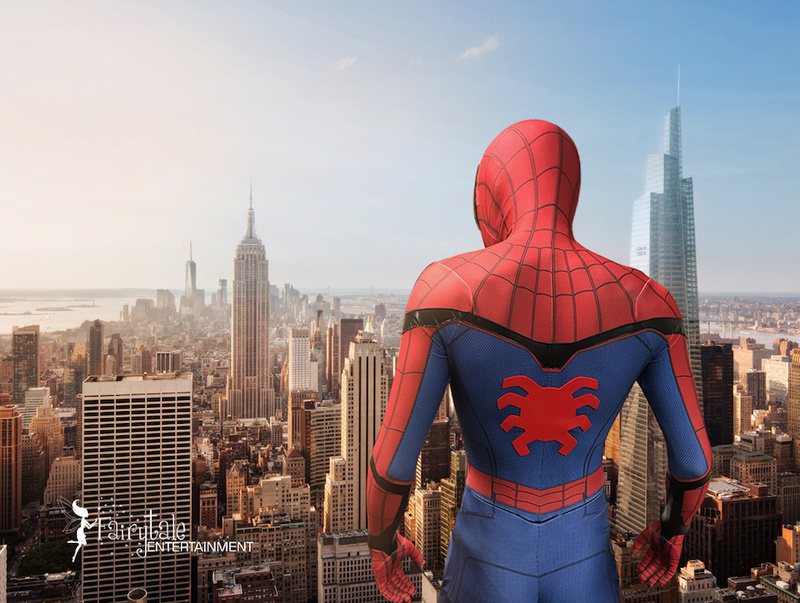 If your child is a fan of this web slinging superhero character, they will never forget the amazing party our Spider Hero will give them, and neither will you! 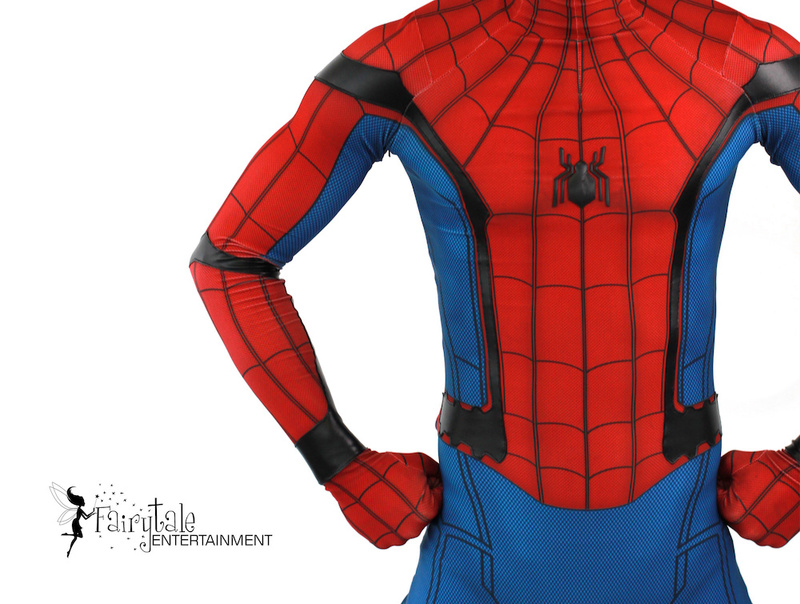 If you're planning to hire a superhero character for your party or event, be careful to make the right choice. 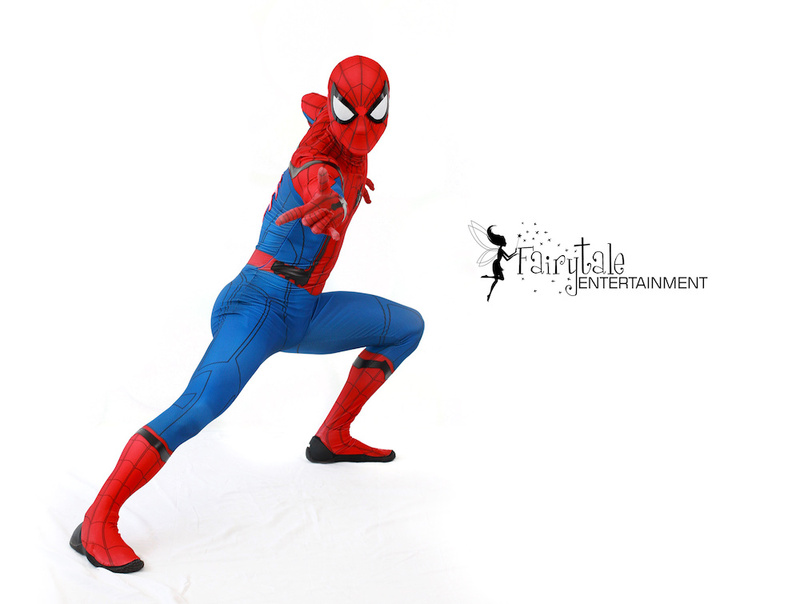 Our core values keep our character company at the very top and we refuse to compromise on any of these putting your child and your character party experience at risk. 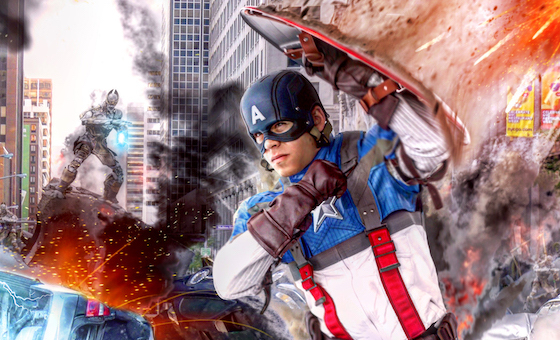 A cheaper price to pay is still a lot for a bad experience. 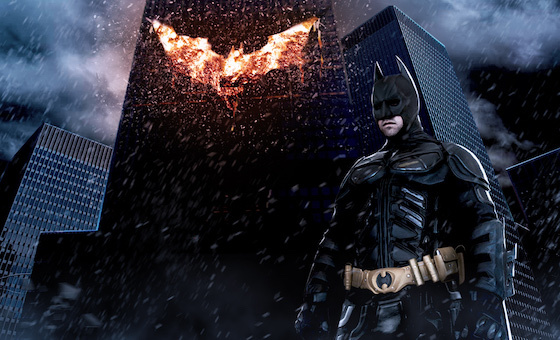 Always choose a trusted source when it comes to your children. 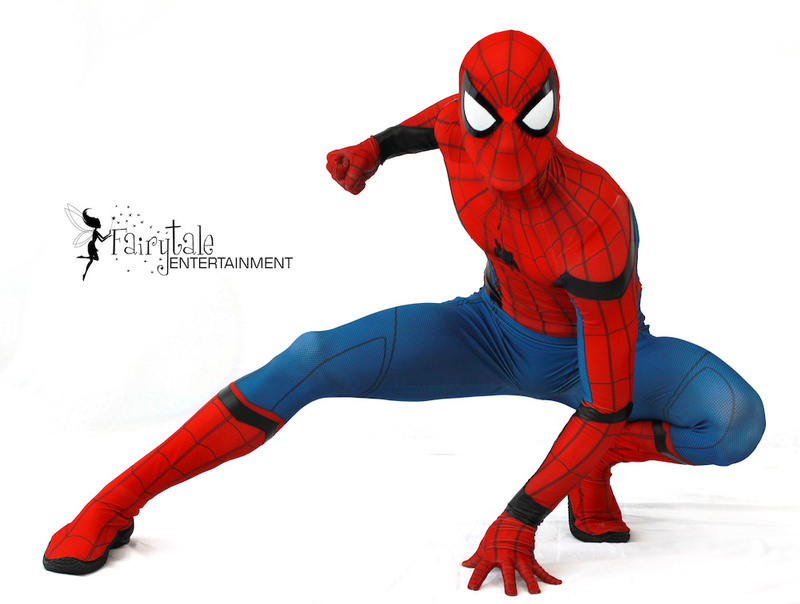 We can guarantee they will have the experience of a lifetime when you book your superhero party characters with us!